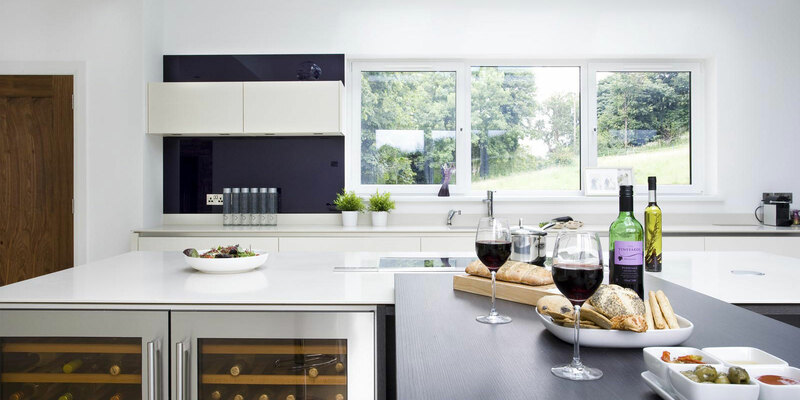 This new build home was an exciting adventure for a newly married couple in County Antrim, the kitchen design was crucial to fit in with the style of the rest of this contemporary home. 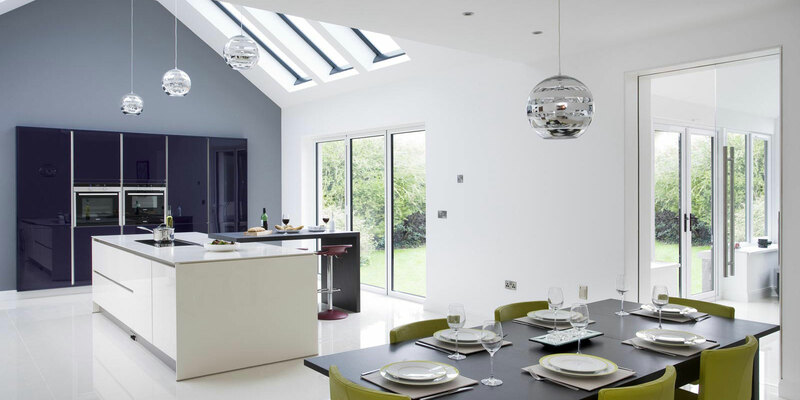 The design brief was simply a contemporary modern kitchen, leaving the designer with almost a free reign, the pitched roof and glass doors floods this room with natural light making it a beautiful canvas to work with. 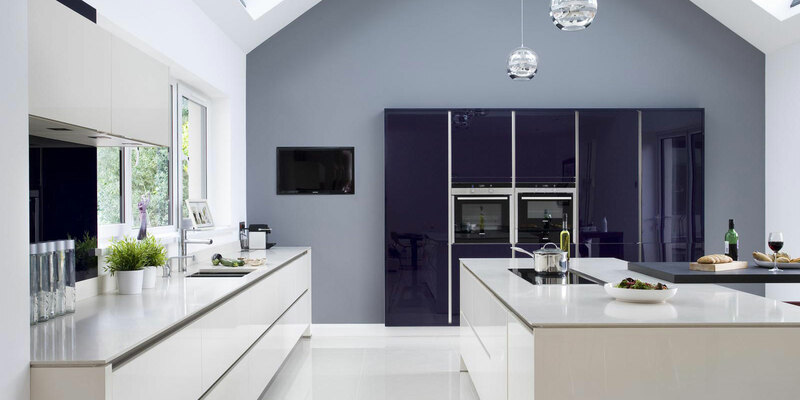 The kitchen doors are magnolia gloss with blackberry glass door fronts on the tall bank of unit, the blackberry gloss wall cladding introduces a lovely accent of colour on the external wall. The island has peninsula breakfast bar with seating for casual dining and the open shelved units provide additional storage. A false wall has been built to accommodate the tall housing and television sits flush; the housing sits out slightly and gives the illusion of “floating”. 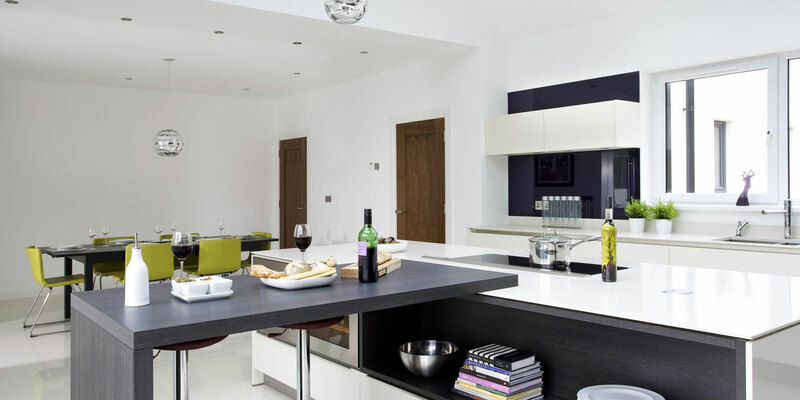 Other unique features are the pop up Ipod dock which when not in use sits flush with the worktop. 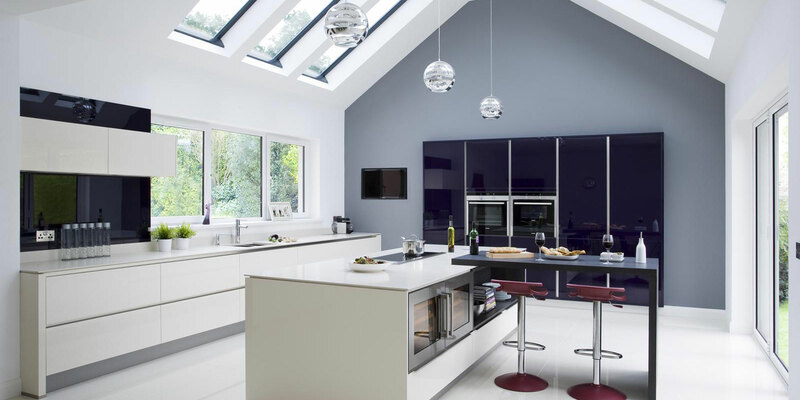 The cooking zone on the island requires extraction as the pitched roof is so high an overhead extractor was not an option , the wolf down draft extractor is the perfect choice and glides up outo f the worktop when in use. 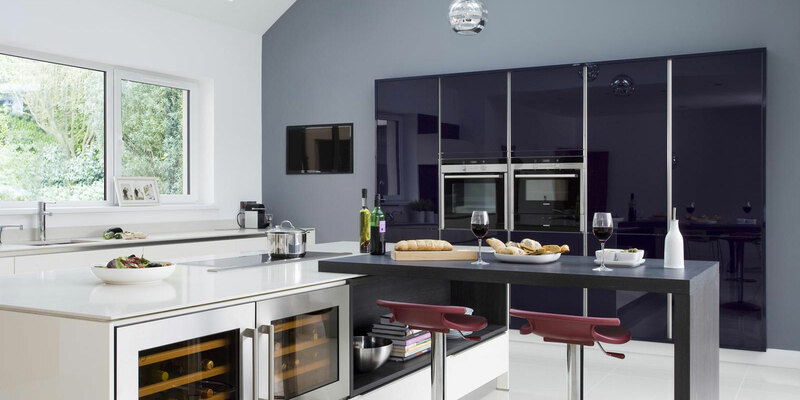 The island has an abundance of worktop space in the heart of the kitchen, a pop up socket tower provides power for any additional kitchen appliances that may be used. 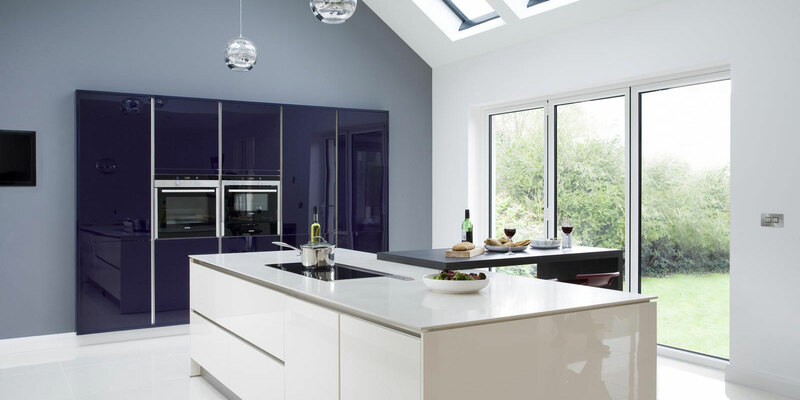 Extra deep and wide drawers looks after storage with internal cutery drawers ensures there is nothing out of place in this stunning kitchen!